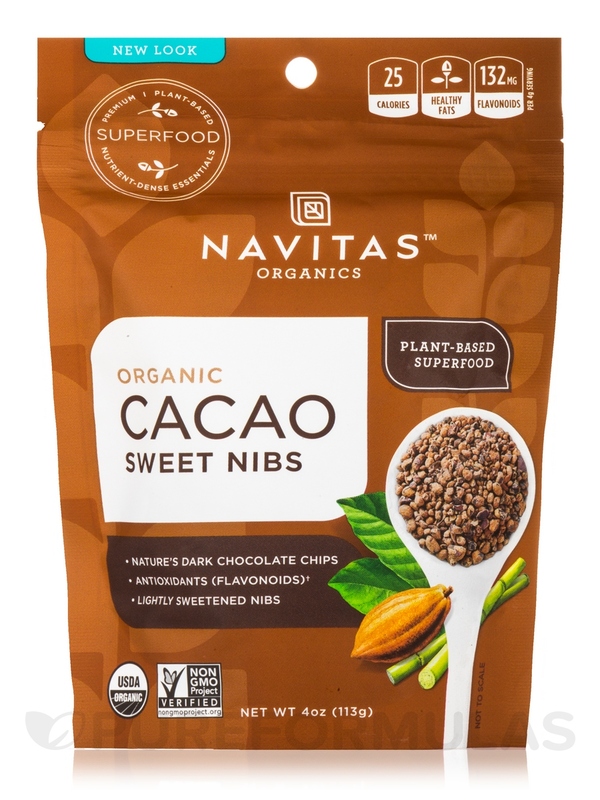 Cacao Sweet Nibs are small bits of unprocessed‚ organic cacao rolled in just the right amount of sugar to sweeten the slight‚ naturally bitter taste of dark cacao. 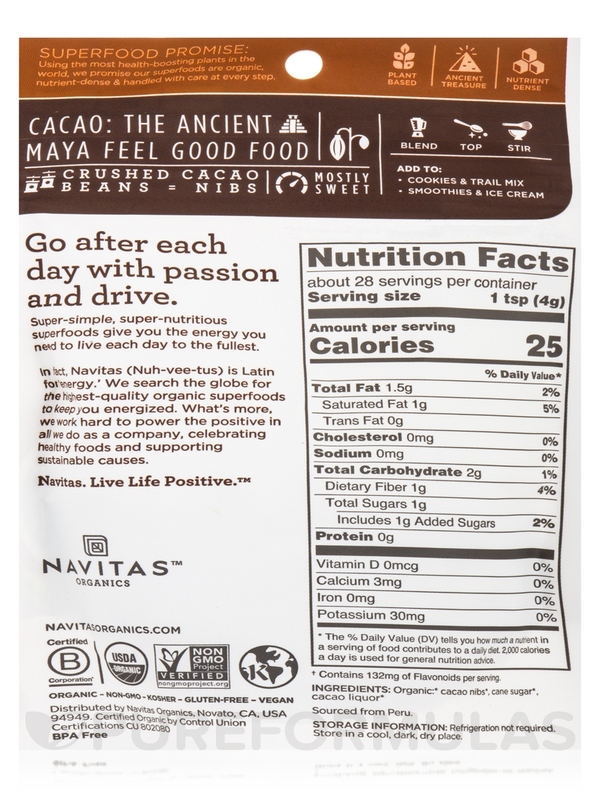 Navitas Organics Cacao Nibs are right from the source‚ crumbling the organic Cacao Bean. You get that darkest chocolate taste with a hint of sweet. *The Percent Daily Value (DV) tells you how much a nutrient in a serving of food contributes to a daily diet. 2‚000 calories a day is used for general nutritional advice. 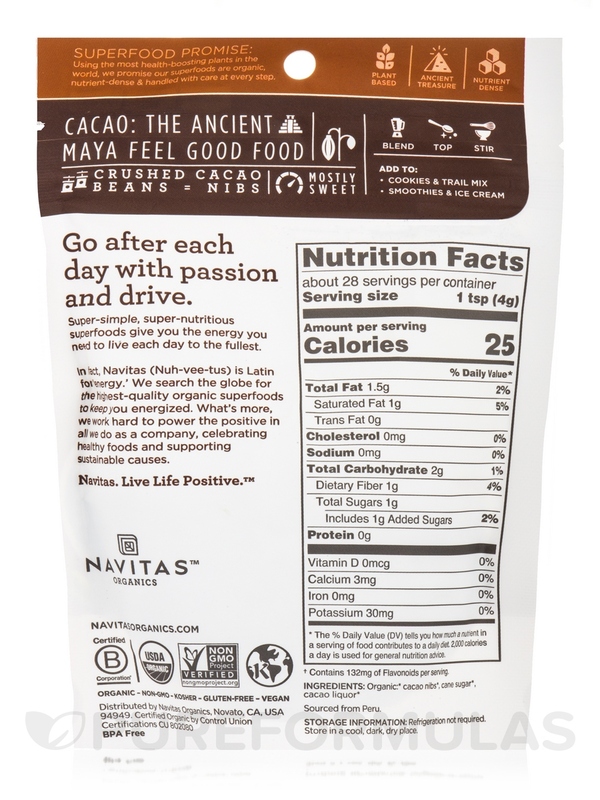 Ingredients: Organic cacao nibs‚ cane sugar‚ cacao liquor. - Cookies and trail mix. - Smoothies and ice cream. 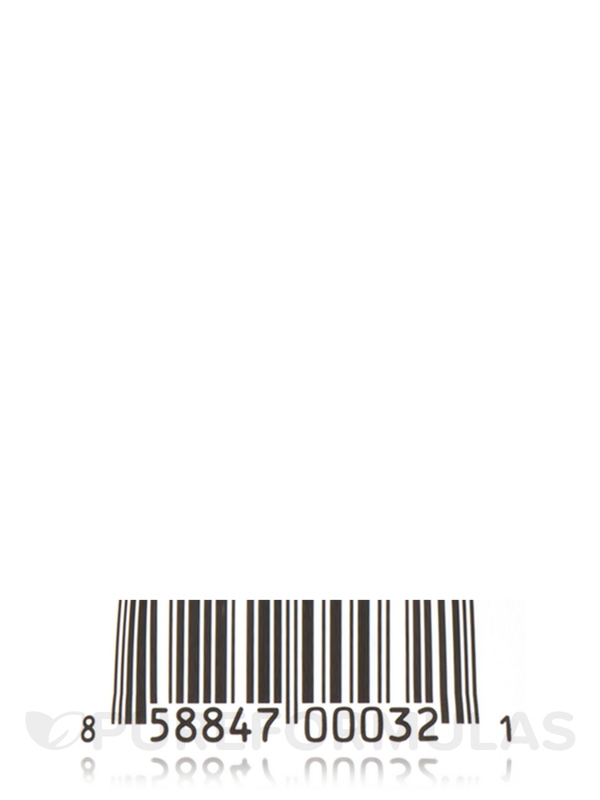 Refrigeration not required. Store in a cool‚ dark‚ dry place.